Get Paid to Read E-books, Articles, and Reviews online. Are you fond of reading E-books and E-articles over the internet? Which has been a regular task every day on your schedule? Do you know some sites are rewarding their members for reading and reviewing E-books on their website? Would you want to get paid to read E-books and write a precise review of the book? Well, that’s a nice choice of making money online at home during your spare time. 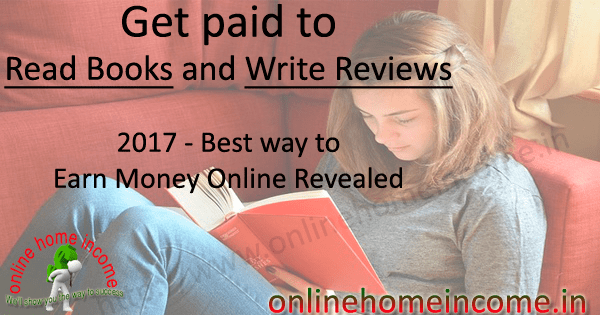 Here, in this article, you can find the list of online work at home companies who are ready to pay you for reading E-books and for writing a short review of the book. There is some collection of websites we have researched over the internet and listed in this article on how to get paid for reading E-books? Get Paid to Read E-books? Many magazines and newspapers need content reviewers related to their target audiences because their audience diverged from many sectors. As there is always a need to feed their audiences, review writers are in a high demand in recent days. Becoming a writer is one of the best home based online works at home for all people especially for housewives, college students etc. Writing articles requires some technical skills and hence it has not been much promoted over the internet. If you spend a few hours a day surely you gonna make a decent income every month at your home. Paid Books was a web platform which pays real money to their readers. There are hundreds of E-books available to read on various topics. This site is entirely free to browse and read no investment anywhere. You can earn money while you reading E-books. The registration process is really so simple that it doesn’t require any registration process. • A free account in Digital Artist Online website. • Daily time to read E-books. Go to PaidBooks website and first choose a book to read. Now scroll to the bottom of the page and you can see Digital Artist Online account login widget. Use your Facebook ID to login to their platform. Once logged in a count-down timer will begin now. It will automatically credit money to your account. All your payments will be on every Monday to your Coin base account. This website — USReviewofBooks — pays you for reviewing an E-book from their database. To register you need to send a mail to the editor with your resume, sample work and any two professional references to them explaining your work. Once your application is accepted you will be added to their subscriber database or else you can subscribe to them via a form. A review must be 250 to 300 words and it should include a summary of the book, along with book content insights or opinions. You can also include quotes from the book or observations about the author, speak about the author, criticise but is should be positive and constructive, unemotional was accepted. All reviews must be completed with 2 – 3weeks and payments are made on 5th of every month to their reviewers. This is an excellent site — Online Book Club — that pays for reading books and giving them honest reviews. This website will give you free Ebooks to test your efficiency, and then you will be eligible for more paid reviews. This is not a get rich quick income scheme, or you will become rich shorter and you can able to leave your full day job. But one promise is you can make some additional decent money every month. The website pays you between $5 – $60 per honest review, quick review and depends on your experience. It’s not necessary that you will get paid for positive reviews. Initially, you will be rewarded with free E-books for your reviews and later based on your experience and quality you will be rewarded with money. Another best opportunity to get paid to read E-books and reviewing was — Kirkus —. They are looking for experienced freelance writers for reviewing, copywriter, Book Editor. You can work from anywhere in the World, and currently, freelancers are wanted in two languages that are English and Spanish. All the reviews will be published in Kirkus Inde, and a review must be around 350 Words that should be completed within two weeks once the book was assigned. Books available on all lengths, genres and in all categories. Free to join and send a mail to a senior editor with your recent professional work and resume. Payments based on the review and experience and subjected to knowledge gained from reading E-books. All payments are made via check and mailed to you 60days after your review was submitted and approved. Do you enjoy reading E-books and having an analytical mind or having an account in other review sites, of course, you can apply to this website — Any Subject Books — to make some additional money? The site itself receives books from its author and upon receiving the same, they will contact you asking to read the book and write a review. Yes, you will be paid for every review you wrote after reading the content. Also, this website will pay for story writers for E-books and novels. You can write stories on any topic as you wish. The payment depends on many factors such as a number of word count, category of the story and its present trend etc. You have to create a free account with — Swag Bucks — website. Don’t panic here’s my beginner’s guide for Swagbucks earnings. After you registered your account, use the Swagbucks tool to find the offer called Audible. Audible is one of the top book sites run by Amazon that having almost 150,000 titles that can be downloaded using your smartphone. Swagbucks will pay you 600SB points for just signup with Audible which you can convert into $5 via PayPal. It is nice opportunity to get paid to read from Swagbucks. If you continue your membership for more than two months with audible, Swagbucks will pay you another 1200SB which can be converted into $10 PayPal cash. — BookLookBloggers — Do you have an active blog which is having a regular flow of incoming traffic. If so, you can become a reviewer of this site. Unfortunately, this site does not compensate with cash either you can get a free copy of the books. Write a review of minimum 200words and post it in your active blog to get eligible for receiving books. Your blog must have at least 30followers or subscribers and with at least one post update every week. Go to their website and select a book. Request via mail to write a review for and after receiving a confirmation mail from them, start writing a review. — NetGalley — In the writing industry, this website refers to find new books that haven’t been published YET. If you are a librarian, a bookseller, an educator or a reviewer, then this website is for you people. You can get started for free by signing in now and choosing the best book to review. You will get free books in exchange for reviews. — NewPages — If you are well at creative writing then NewPages have an offer for you. This website needs live, honest reviews that are accessible to a wide range of audience. You can include short quotes in your review. Then send your work for them to justify, and once your work was accepted you will be paid with a free book. They better reviews you wrote, the more free books you will get. You can write on any topic, genre and all courses were accepted. — Contena —This website is another nicely paying site which hires freelance writers to write on any topic that pays you in return for money. It requires membership to start earning money and membership valid for only one month. There is a little chance of getting books to write a review for and that too pay fairly. But one thing is it’s genuine. 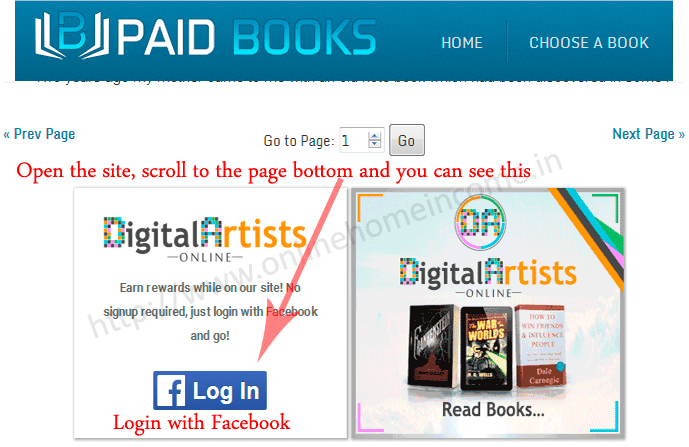 Here we managed to cover some websites that pay cash for reading books. But more sites were there whom they compensate with a free copy of the book. You can keep it to increase your knowledge. Be aware that there are also numerous scammers out there who hire their book reviewers only for getting reviews for use of their own advantages. They never pay to their members as well for their time. But you must be careful in choosing the site to work for. Keeping that in mind, we have managed to find few genuine sites out there in the market and consolidated here in this article. Make use of them and earn money for reading books have not ended up here as there are some other ways to make money with books. As you all know how well Amazon affiliate program has reached many people and made their lives better? You can get paid to read books via Amazon reviews. Register a free account with Amazon associate program and then choose a book that you like more often. Write a review of the book, and publish it on your blog. Promote your blog through various means and create glowing revenue by putting the affiliate link of that book in your blog page. You will get paid for every sale through that affiliate link for a long time as long as you run the blog. Many magazines and newspaper companies require many freelance writers for their work. It is easy to get paid for reading an article and providing a review about the same. To start this, you must be good enough at English grammar and you should know to write artistically. There are many online platforms to start with and some of them for your suggestions as well are listed here: Craigslist, UpWork, Elance, and FreelanceWritingGigs.com are the great place to start with. It is the best way to get paid for reading, because if you have strong vocal then you can narrate a book in your own voice. This is an excellent way to earn some additional money, narrate audiobooks and sell it on Fiverr, Amazon and Click bank. You cannot get rich by doing this part-time work but tough there is some money rolling out into it. You can make some decent income as a Book reviewer and sometimes many authors will seek you directly for reviewing their future work to add value to their testimonials. This will help you improve your freelance writing knowledge and you can offer a paid assistance service on freelancer website as a freelance content writer or virtual business assistant. You can charge based on the length of the content, a number of pages etc. Hence, here is sure money that you will get paid for reading books and writing a short review about them.